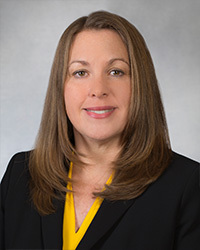 Jennifer Keglovits joined the firm in an “of counsel” position in 2012 and brought with her many previous years of litigation experience defending hospitals, healthcare facilities, physicians and other healthcare providers. At Best & Sharp her practice has remained focused in the area of medical malpractice defense and nursing home litigation. Jenny is a life-long resident of Tulsa. Jenny and her husband Dave are very active in the community and are avid recreational tennis players. They have loved raising their two daughters in the city of Tulsa.